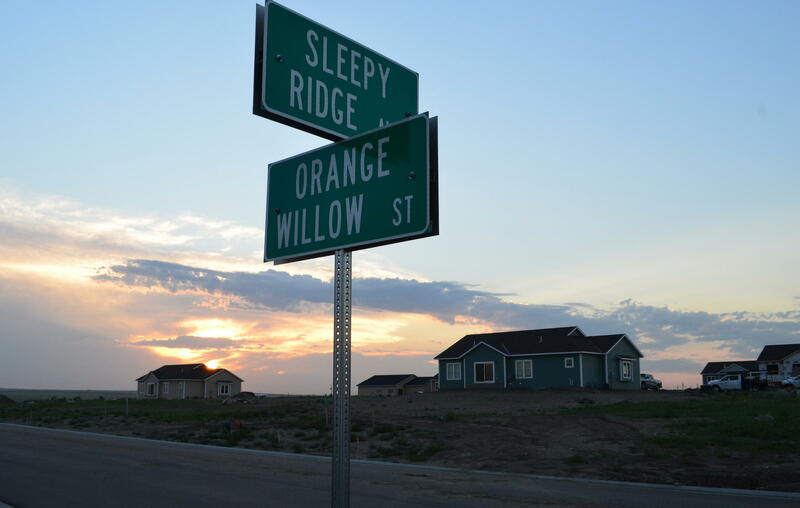 Sunset and Orange — Names of new developments often have a wistful relation to the actual landscape. Tricycles at sunset — Oil workers are not the only ones living in oil boom housing. If you drove through the Bakken a few years ago, you would have seen dozens of new hotels, RV parks and mobile homes that popped up when the oil rigs rolled into town. Housing prices soared as people flocked to western North Dakota. 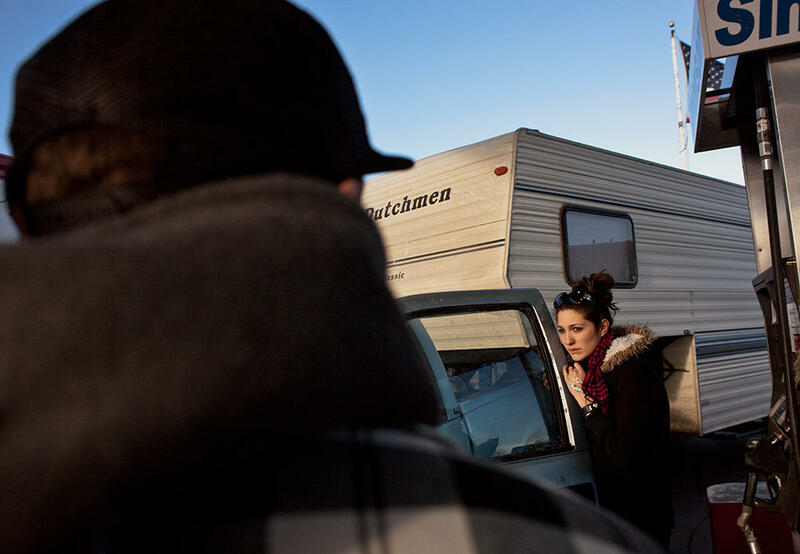 They came for jobs on the rigs, or to drive truck or lay pipe, and they needed places to live. So too did many new teachers, police officers and health care workers who supported the growing populations of towns like Williston and Watford City. At times, especially early on during the boom, living conditions in so-called “man camps” were rough. 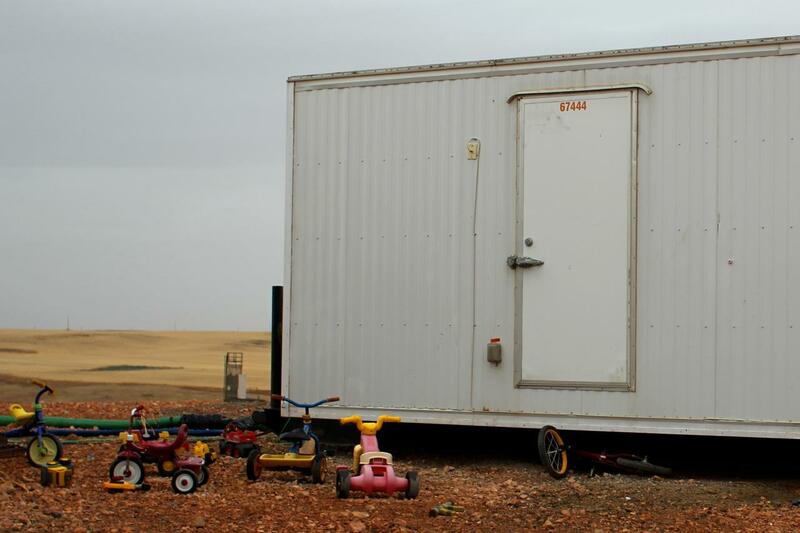 Workers on occasion lacked basic amenities like running water, and some of them endured frigid North Dakota winters in poorly insulated shelters. Over the years, workforce housing evolved as the boom slowed down and local officials shut down the most rudimentary of dwellings. Today there are fewer RVs and mobile homes, and far more apartment complexes to accommodate workers. Part One, looking back at the Bakken through housing. Part 2, more on housing and what it shows us about North Dakota's oil boom. 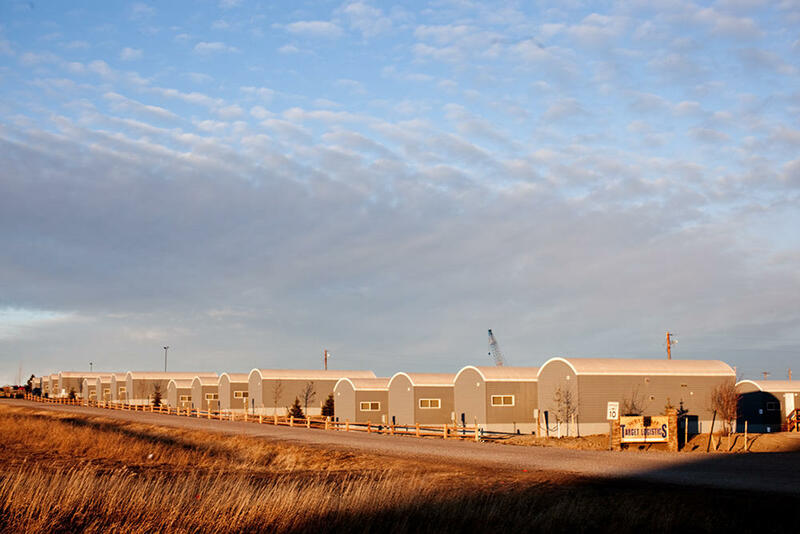 Weber and Caraher launched the North Dakota Man Camp Project, a collaboration among researchers studying the Bakken. Former Prairie Public and Inside Energy reporter Emily Guerin spent a few days with them on a trip through the oil patch. You can listen here. For more of Sisk’s coverage of the Bakken, see her reporting for Inside Energy. She is now a Pittsburgh-based reporter covering energy, environment and rural issues for WESA and StateImpact Pennsylvania. This programming was made possible by Humanities North Dakota. 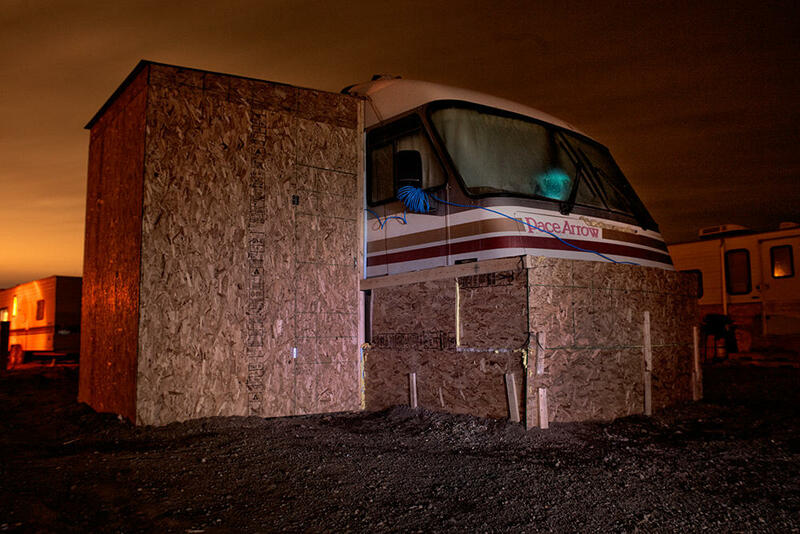 Trying to keep warm — to survive the North Dakota winter, people living in RVs had to add insulation. Welcome to North Dakota. 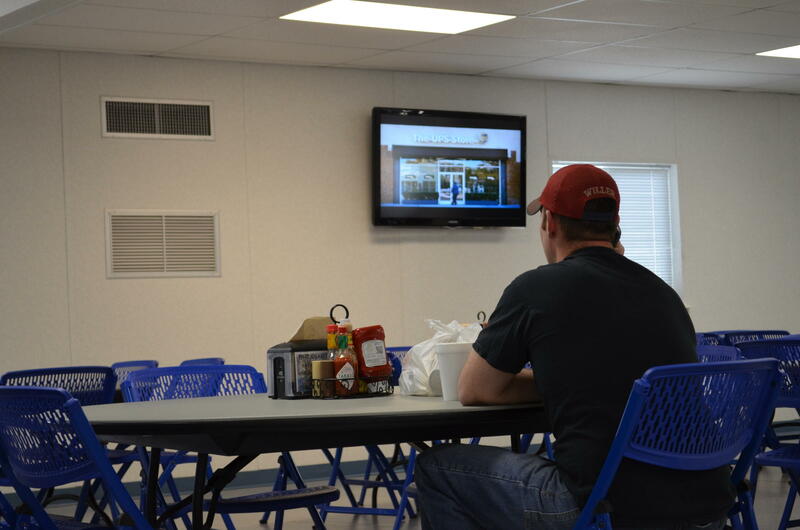 Temporary worker housing solutions could be uncomfortable. Worker relaxing. Man camp amenities.